The 500 gram (16.077 oz) Cast bar of .9999 fine Gold is produced by the legendary leading gold manufacturer in the world, PAMP Suisse. This 500g gold bar contains 99,99% gold purity. It is elegantly decorated with the famous PAMP insignia: the 4 circles respectively containing a letter of the word PAMP. The 4 circles containing the letters to spell out PAMP. 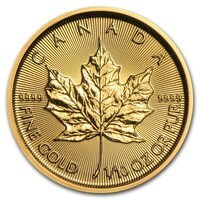 It also includes other features such as gold purity and bar weight. This is a unique gold bar for anyone who is looking to invest in a more traditional way, as well as for those who are gold admirers or avid collectors. Gold has always been considered the best of all precious metals, and it remains a prestigious investment to date. This 500 gram (16.077 oz) gold ingot is manufactured by PAMP Suisse, a well-known independent refinery established in 1977 in Switzerland. They are the leading refiner on the market.